Healing sessions have been able to release physical, emotional, and spiritual pain of all type, regardless of their source or reason, on all levels. People have been released from neurological conditions, arthritis, joint pain, depression, anger and resentments, cancer, lyme disease, and much more. Sal truly amazed me and my family with his healing session. I was blown away when he told me about things that I have even forgotten about. Not just anyone can do that; he is the real deal. The things that he told me really made sense and he reminded me of the things that had once hurt me. Sal is truly a special being with a very special purpose in life. Trying to describe one of Sal's sessions is impossible; it's one of those things that you have to experience yourself. "Mr. Canzonieri energy healing abilities are extraordinary. My right and left knees are riddled with osteoarthritis. Weeks before my two energy healings I was not able to bend my right knee, as the pain was so intense that it would cause me to buckle over in pain. I have an extremely high threshold to pain. My first energy healing session I was able to walk a little more. The pain was not only considerably less but manageable. After the second energy healing session I was able to walk pain free. I also began my regime of working out 6 hours a week. I am very grateful to Mr. Canzonieri for helping me return to my exceptionally active life style of two hours of Martial Arts, two hours of boot camp and 2 hours of MMA a week. Mr. Canzonieri is a very intelligent, intuitive, spiritually gifted healer. " "Sal has the ability to vocalize and teach about energy, life, and healing...things that I have spent a lot of time reading about and exploring, but was unable to experience fully or explain to others. Through attending Qigong classes for 3 months, I have been able to experience my "self" in a new light through an awareness of my subtle body, my energy and my emotions. He has been a part of my journey towards healing others by simply teaching me that I have the ability to heal myself. I have learned more about myself; what I desire, how to let go and give "UP" to the universe so that I can get out of my own way in achieving the health, wealth, and happiness that are mine (and Everyone's) birthright! 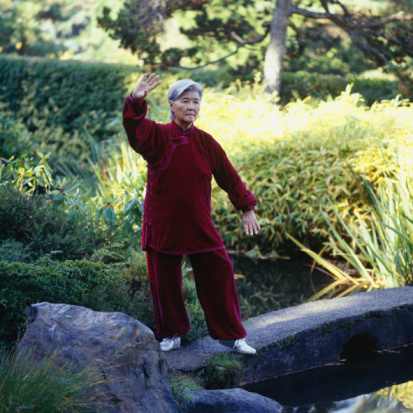 I am blessed to have now seen and experienced hands-on, the healing power of Qigong. Not only as a way of healing others, but most importantly for healing myself. Sal is a compassionate and committed teacher and healer and I highly recommend experiencing Qigong for yourself!" "I had numbness and atrophying of the muscles in the legs for many years. After seeing 5 different neurologists, none of them could figure out what was the matter. Sal was able to pinpoint the exact cause of	the	matter. He was able to see that there was a structural defect in the spine that was impinging the nerves. He also was able to remove the numbess. Feeling and color returned to my feet and legs. Over the course a few months of weekly Qigong treatment, my legs returned to their former shape and there was substantialy less pain. I am able to walk much better and am now in the process of learning how to regain my balance and strengthen my leg muscles after years of people just wanting to give me leg braces and botox treatments instead of healing me. Sal also removed emotional blockages of	buried	past memories of unpleasant events that were contributing to my former illness. I am very happy with my Qigong treatment that has allowed me to be able to do housework again and be a lot more happier with my family. "I had 4 healing sessions. After the first session I did not have take my usual pain medication in the middle of the night anymore. Starting with the first session I felt immediately better, much less pain. The first night after going to bed I felt negative energy being sucked out of my body. My hurt leg floated up and I was able to finally bend my legs. The next day I was able to walk around my apartment without my wheelchair." "One of the best Qigong healers I have encountered. Immediate results, with gentle energy. 300% above other Qigong healing I have tried. " I would like to take a moment to thank you for all of the help you have given me over the years. Having you as a guiding source has been instrumental in walking the path to where I am today. Our many discussions about martial arts history, as well as technical aspects and the times we were able to meet in person showed me details and little known skills that are essential to developing good Kung Fu. It not only showed me what to work on, it allowed me to identify and find local people who truly know their arts so I could pursue those skills close to home. Your help in my study of Tai Tzu Chang Chuan and the arts of Zhao Kuang Yin especially, could not have been successful with out all of your input. My only regret is that we live in different states. You have such a wealth of knowledge. I wish I could come and train with you every day. Sal, Thanks for everything over the years!! Your help is most appreciated!! "My stress level has gone way down. 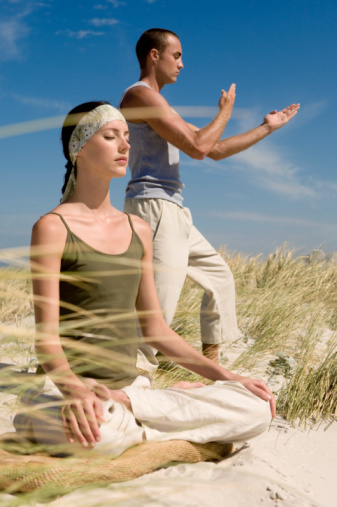 The Qigong breathing has made me feel much better and relieve anxiety from emotional issues. My skin condition has cleared up since starting the class "
"Sal's depth of research across so may different interrelated arts combined with his practical insight from decades of practice and teaching provides him with the rare background to impart the critical components of what you are doing, why you are doing it and how to do it. Sal is a funny guy too with all sorts of interesting stories." "Before I started working with Sal, I had not been very healthy. I worked too much, was a stress freak and was out of shape. Though I was small, I carried my weight badly, not for optimum health. I was also told that it would be difficult to have kids with the built up scar tissue from surgery many years earlier. I had transferred into Sal's division of AT&T and I were colleagues in Documentation group. I had heard about his program being interested in Oriental medicine and energy, and wanted to try it. This employee program had been going on for many years before I got there. In fact one of Sal's students had been with him at least 10 years and Sal did not look that old (!). 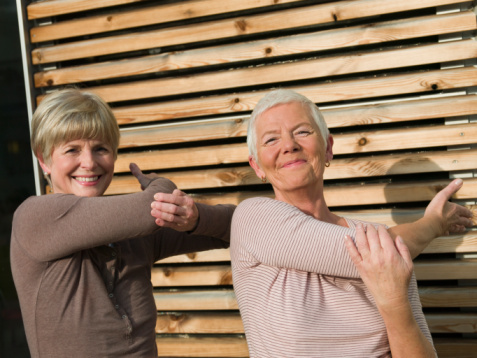 That is testimony for what qigong can do to keep your youthful appearance. I was part of a class of 12 students and I know some come in and out but most stay because of path that qigong brings you to - balance and peace. The qigong taught along with the Kung Fu forms helped tone my body and got me back on the road to a better shape and manage my stress. I felt different on many levels after each class. A year later I was able to have a child, in fact now I have two. Without Sal, I could not start to make positive changes for my life and benefit from them now. " "I took two classes that Sal Canzonieri taught. One was a Healing Energy exercise class (Chinese Qi gong) and the other was a Kung Fu class. I have always wanted to learn Kung Fu, but never had an opportunity to study it. One day I saw a sign for Kung Fu classes where I worked at Bell Labs. I asked around and Sal was highly recommended by several of my colleges that were already studying Kung Fu with him. I started the class in poor physical condition with a lot of tendon and cartilage damage in my ankles and knees. The combination of the Qi gong class, Kung Fu class and the additional exercises that Sal had taught me had made a marked improvement in my lifestyle. I have typically been on crutches or had to use ankle braces about every 6 months for over ten years due to recurring injuries, but since I have been practicing the material that Sal taught I have been brace free for about three years now. I think this is in part due to increased strength of my body from the Qi gong exercises, but mostly to the fact that the Kung Fu movements have thought me how to properly move my body without causing injury. I also thoroughly enjoyed the classes that Sal teaches. Sal has a very diverse knowledge of Kung Fu and is also quite the scholar when it comes to the history of Chinese martial arts. The classes are a great work out and I always leave Sal's classes feeling that I have learnt something of value. One thing that I like about Sal is that he does not hold back. He teaches you everything from the proper basic core form, the reason you are doing it, the history of where it came from, the more advanced version to the actual application and if you can't do it he will teach you a more basic way that will get you there. I don't know why other teachers hold back, but they either don't want you to know, don't understand that how to teach it or they just don't know themselves. I also like the fact that Sal is still studying under a grand master in NYC. When Sal is working on something new to teach us he often will run it by his grand master to get his insight. I have seen a lot of martial arts instructors over the years and Sal is definitely one of the best that I have ever seen. The Qi gong classes that Sal taught were a great way for me to get into Chinese martial arts and learn the core movements required to perform any martial arts properly. Sal taught the Qi gong classes in a way that was welcoming to beginners, but also had great value to the more advanced students. I have now incorporated the Qi gong movements that Sal has taught me into my daily life style. 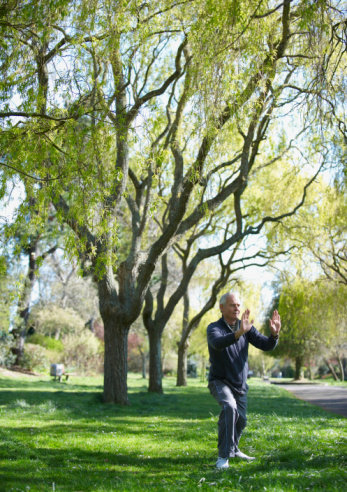 I have little time to myself and have found that Qi gong is a great way to incorporate meditation, stretching, daily exercise, and martial arts training all into one workout block. The first day I went to one of Sal's Kung Fu classes I was blown away, the other members in the class were very advanced and I was not physically capable of keeping up or mentally capable of adsorbing all that was happening. I thought it was just too advanced for me, but Sal was able to work with me and still keep the class going for the more advanced students. I later found out that this is the way of Kung Fu, the ying yang constantly cycles from advanced to basics and back to advanced. Due to a facility closing in Whippany I have not been able to study with Sal for the last few months. Like the saying goes �you don't know what you have until it is gone.� I have to say the worst part on losing my job has been not being able to study Kung Fu with Sal. I can't wait to figure out a way to start studying with Sal again." "I have been a life-long martial arts practitioner for twenty-five years in various styles including Shotokan, Tae Kwon Do, Hapkido and more recently with Natural Chinese Martial arts and Chi Gong. Over the past 5 � 10 years, I found that in many martial arts schools, once one attains first degree blackbelt, there is a limited curriculum offered for those who want to continue to learn and improve the depth of their own martial arts. There has to be more than punching and kicking drills and group led exercise, especially when one gets older. I knew that there was much more to learn but that it was more a matter of finding the right teacher. I have been studying with Sal for the past 5 years studying Natural Chinese Martial Arts and Chi Gong through his Jindao System, which incorporates a number of various internal Chinese arts, among other things. What Sal's instruction has provided me is to open the doors to continued learning and improving with my own martial arts. Sal pointed out that there are both hard and soft styles of martial arts as well as internal as well as external styles. For both experienced and novice martial arts enthusiasts, there is always something new to learn from Sal whether it be a new system of forms, learning both the modern interpretation of forms as well as the primitive forms from which the modern interpretations developed. Sal employs a recursive teaching method whereby periodically the class returns to some earlier material, introducing new students at the beginner level while emphasizing more advanced concepts for the more seasoned students. Classes are never boring. As a student of martial arts, whether it be for health, longevity or self-defense motivations, Sal fosters ones own awareness of their body, mind and spirit and helps students apply the instruction to their own situation. Over time, one can see their own progress as they achieve deeper levels of their own ability. Progress is cumulative. No matter what ones previous background, one is able to learn new things which improves on one's own foundation no matter what level or prior experience. Whether a student is interested in pursuing more knowledge, improving their own martial arts ability, health benefits, or practical applications, studying with Sal is well worth the time spent. Sal provides instruction which is unlike what is provided in many schools. I encourage anyone who has an avid interest in the martial arts, beginner or advanced, to come and take the introductory class for 8 weeks. Come with an open and clear mind and participate to the fullest of your own capability. The experience will better your self." "When I first came to the class keeping my knee over the toe was difficult because I had weak muscles. 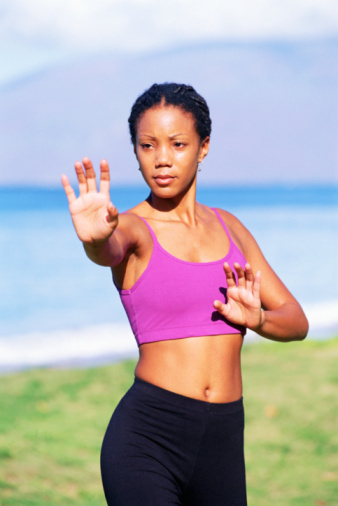 The classes taught by Sal helped me gain muscle tone without going to a gym � I got in shape and learned self defense at the same time. Sal is an excellent instructor and probable knows KF better than anyone." "For many years of my life I was training Judo, and today I am a Taichi trainer under instructions from Johan Duquet, a year and a half more or less. During may 23, may 24 and may 25 of the current year, I attended a Nei Gong seminar conducted by Salvatore Canzonieri. At the end of the course, I remain very surprised about the ignorance, which some practitioners of any martial art, have about the origin of the same regarding to internal control and breathing. As conclusion, and about this ancient discipline, it was a very interesting experience, both from a cultural point of view as practical. All of us noted that, the experience and knowledge of Salvatore Canzonieri are infinite, as well as his dedication and humility submitted to teach the course. Only to say that, in the future, I will attend to all seminars that Salvatore Canzonieri teach and that I recommend to anyone who is interested in these subjects. To congratulate both the professor Salvatore Canzonieri, as the organizer of the same seminar Johan Duquet." "The contents of the Salvatore's seminar has permitted me to improve the flow and reaction time of my techniques, thanks to learning some of the basic internal techniques, that allow responding to whole myriad of situations starting from some (to the eye) simple movements. Salvatore did not only reveal without holding anything back his extensive knowledge on traditional kungfu but also on other styles and martial arts." "The classes that Salvatore Canzonieri gave at the University of Valencia have been really useful for me to understand how to improve my gongfu technique by using adequate respiration and positioning. Additionally, Salvatore Canzonieri shared with us his great knowledge of martial arts history, and Shaolin history more specifically, with insight in many martial arts styles and interconnections."